Venetian Blinds Inside Double Glazing provide an ideal solution for patio doors and double glazed windows. If they are in patio doors they do not get in the way when someone goes in or out. 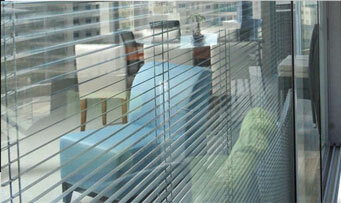 Having Venetian Blinds Inside Double Glazing ensures they are permanently dust free. They are also protected from external accidental damage. They are safe from little fingers and pets. With no external access to the environment they do not collect dust or allergens. Thus they provide a practical solution that protects the blinds. It also provides all the benefits of Venetian blinds without any of the down-sides of having them. This means that you have convenience, insulation, energy efficiency and privacy from one solution. Venetian Blinds Inside Double Glazing are ideally suited to be fitted in conservatories, bi-fold doors and sliding door systems. They are inconspicuous, tidy, exceptionally flexible and provide great shading for a room. This is especially true if it gets direct sunlight for prolonged periods of a day. 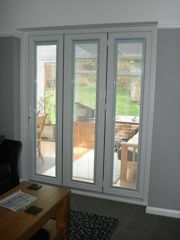 The blinds can be fully opened or closed or tilted to let in the light while maintaining privacy. They are the perfect product to incorporate into a conservatory, kitchen, commercial offices. They can be used anywhere where hygiene needs to be maintained. If you want to be able to supply exceptionally high quality Venetian Blinds Inside Double Glazing to your customers, call 0800 310 12 22 now.